Louisiana DUI laws call for penalties consisting of fines, jail time, treatment programs, license suspension, and home incarceration. These penalties are spread out over four different offense categories based on the number of times you have been charged with a Louisiana DUI. If an officer believes you have not completed the field sobriety tests to the standards set by Louisiana law on DUI then you will be charged with driving under the influence due to a blood alcohol level that is above the legal limit or you are under the influence of drugs to the point they decrease your ability to operate a vehicle. Drivers must operate their vehicle with a blood alcohol content under .08 to be considered sober enough to drive under Louisiana DUI laws. A person under the age of 21 must be under .02 to avoid a Louisiana DUI. A commercial vehicle driver must maintain a blood alcohol level under .04 to be within the legal limit according to Louisiana DUI laws. Just one Louisiana DUI can land you in jail for up to 6 months and a $1,000 fine. Louisiana DUI laws have the right to suspend your license up to 90 days or 6 months if you committed the offense under the legal drinking age of 21. There is a minimum jail sentence of 48 hours for a second Louisiana DUI but may it go as high as 6 months. A $1,000 fine must be paid and there is a mandatory 1 year suspension on your license. 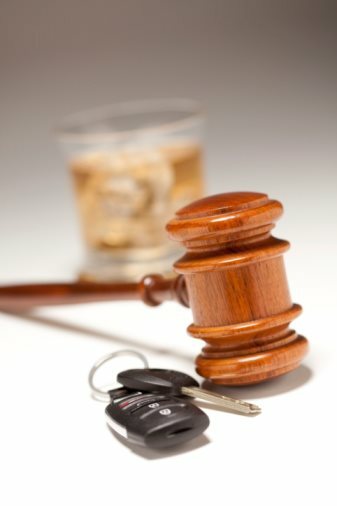 Louisiana DUI laws classify a third offense as a felony. The minimum jail sentence is 45 days and may be as long as 5 years. The fine for the third offense is $2,000 and the guilty person may lose their license for up to 2 years. There is also a 6 week inpatient treatment substance abuse program the three time offender must report to. Community service must be served for 30 days. Any time taken off the jail sentence must be finished by means of home incarceration. The fourth Louisiana DUI offense comes with the harshest penalties. The minimum time to be served in jail is 75 days but can go up to 30 years. The fine is $5,000 and the license suspension is 2 years. The court has the right to seize and sell your vehicle. You must complete 40 days of community service and a 6 week inpatient substance abuse program. Louisiana has a implied consent policy which states that any person operating a vehicle has given up their right to refuse a sobriety test. Therefore, simply declining to take a sobriety test to avoid a DUI in Louisiana will not get you out of legal trouble. Refusing to take a sobriety test to avoid a Louisiana DUI will land you in even more trouble than a standard Louisiana DUI. The only way to be sure of avoiding a DUI is to not drink and drive.